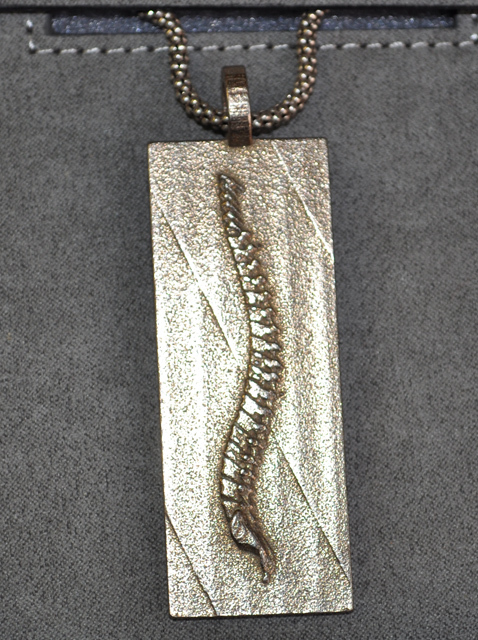 This creation by Dr. Ventura is an anatomically perfect spine, to be used as a pendant. The detail in such a small piece is truly astonishing. The standard material is stainless steel at $57. This finish has a slight brownish tint to it and looks stunning. Other finishes available. NOTE: Pendant does not include a chain or keyring. Dimensions are 1" w x 2.4"t x .1" d.
Due to the intricate design process, please allow 6 weeks for delivery. 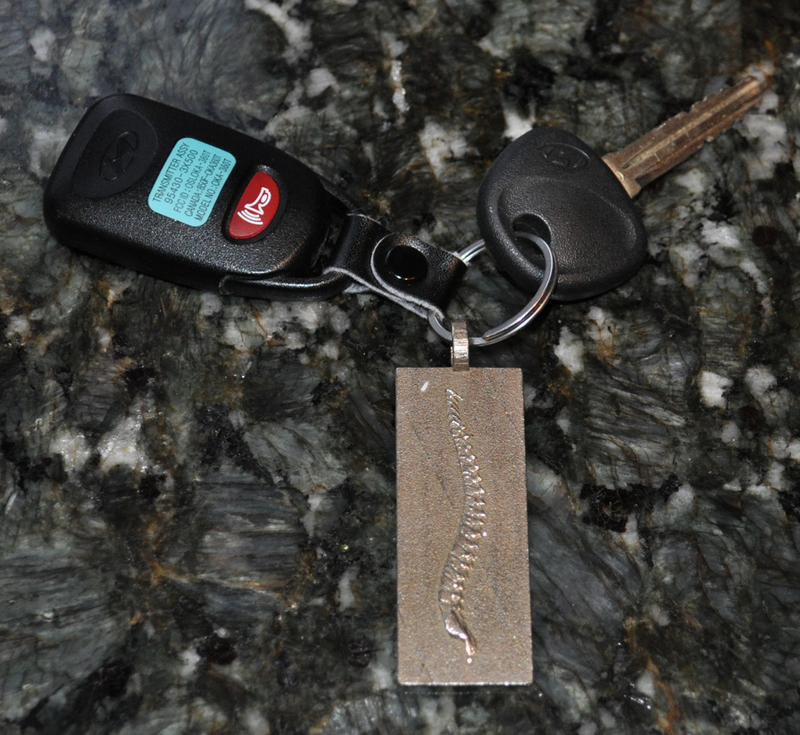 Click the button below to add the Spine Pendant/KeyFob to your wish list.